I’m on the fence about crafting systems in games. I like to be able to craft certain things, but I often just get tired by it and end up ignoring it all together. Usually, I hold out on crafting until the end of games, when I have all the awesome components and can create the best stuff that’s finally better than anything being dropped by enemies. Base management, on the other hand, becomes a bit of an obsession for me. 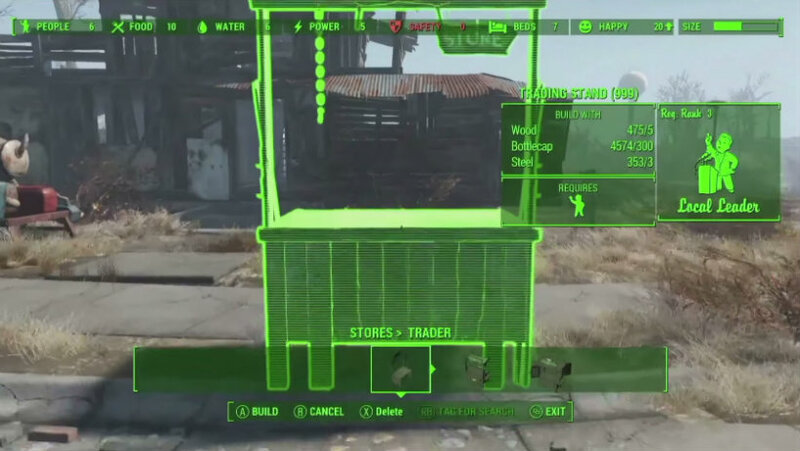 No matter your interest in crafting, Fallout 4 should still be fun for you. Bethesda’s Pete Hines explained that if you’re not a fan of post-apocalyptic urban management or weapon building, you can totally leave it out in Fallout 4. It’s a completely optional, freeform thing that you can do, if that’s what you want to do. If you don’t care about that and you just want to play quests and play side quests, and finish the main quest and that sort of thing then you can just ignore all of this [crafting]. Or do as much or as little as you want. You can [play] it and never even notice that feature is there if you want to, but once you figure it out, it’s like, ‘okay, this is pretty cool. Now I want to do more. Knowing my preferred gameplay styling, I’d probably end up doing far too much base building (although I can’t really imagine caring about the furniture I craft) and just about no weapon crafting. Still, it’s always nice to see features included in games that aren’t strictly required for the game’s completion. Too often, something is presented as optional, but later missions reveal that you should have been doing it all along in order to actually complete the game.